Dry Ground Brewing Company We'll gladly say goodbye to the snow this spring. 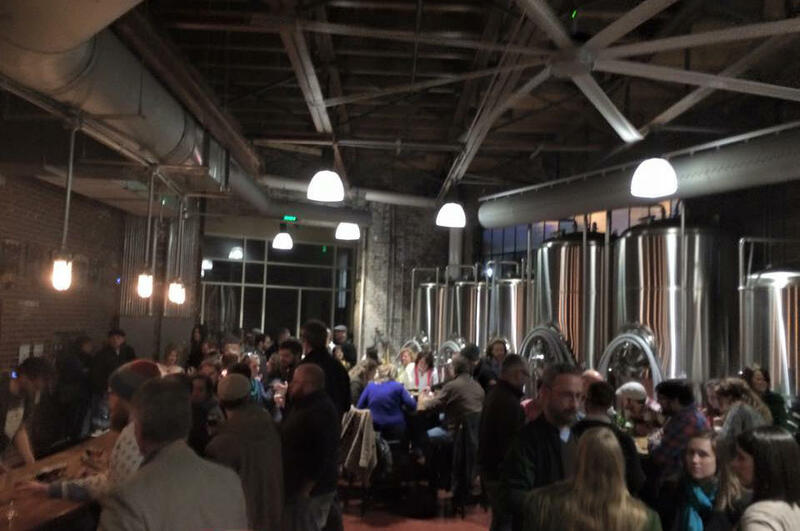 But there's one ice-cold thing we can't get enough of: craft beer from Paducah's new microbrewery: Dry Ground Brewing Company. Dry Ground is located inside the Old Coke plant in the Midtown area of Paducah - bringing new life and new beverages to the historic landmark. Open six days a week, Dry Ground offers 7 of their own beers, crafted and brewed in house, with names highlighting local history ('37 Flood IPA) and even prominent Paducah facial hair (Adam's Beard Belgian). Guests can enjoy these brews and others on site, or purchase a 32 or 64oz growler to go. Those that come hungry can order a locally sourced meat & cheese board, perfect for flavor pairings. With a community feel and their high quality menu selections, it's no wonder why Dry Ground Brewing chooses to Underwrite on WKMS. Owner, Ed Musselman feels WKMS matches their commitment to quality through community programming. "Building, supporting, and strengthening community is a group effort. We proudly support WKMS's commitment to quality community programming," adds Musselman. Cheers to that! The brewery is open Monday through Thursday from 3 to 10 pm, Friday from 3 to midnight, and Saturday from noon to midnight.